It all started with an Oreo cookie. 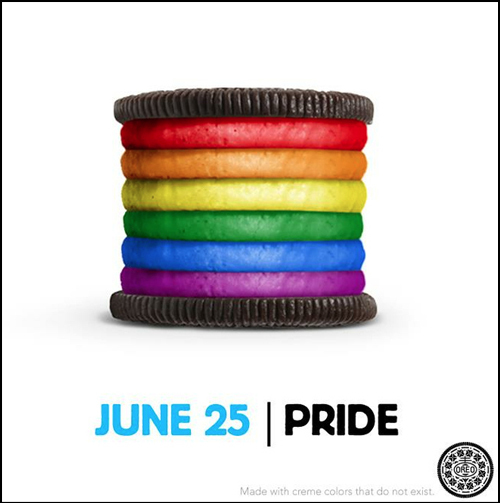 This week the Kraft Oreo brand sparked a flurry of news media coverage and public discussion by posting a powerful Facebook image supporting Gay Pride Day. Now that Oreo has made a statement, will Kraft join the conversation? 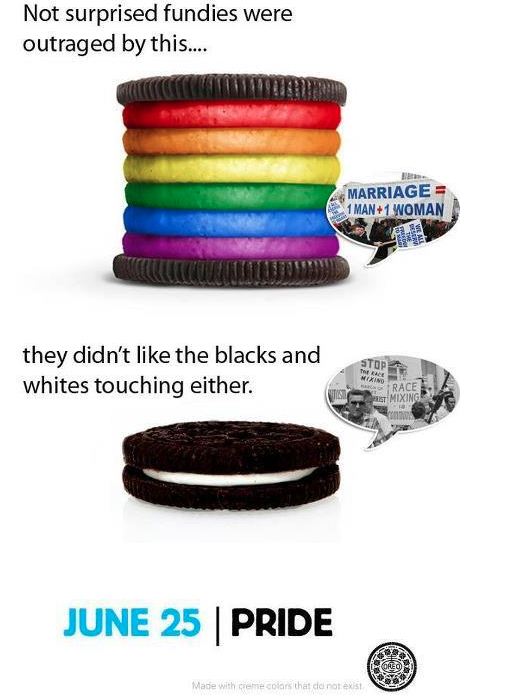 Interestingly, Radian6 also reported that eight out of 10 of the comments made about the ad are positive with a disproportionate share of virulent remarks posted on the Oreo Facebook page — and suggesting that the media coverage overstates the controversy. I would like to see Kraft do more than make a statement. This kind of advertisement can do something very important, which is to invite people to take a closer look at how corporations like Kraft can enact change to make society more tolerant. Big brands can act as powerful agents of change through their statements and more importantly through their actions. AT&T and Disney are among the companies receiving perfect marks by the Human Rights Campaign for being LGBT-friendly based on a number of factors ranging from the nature of their domestic partner benefits to resources they provide for LGBT employees. (Kraft scores well but lacks a perfect score.) I see an opportunity for Kraft to lead a conversation now the ad has caught our attention. 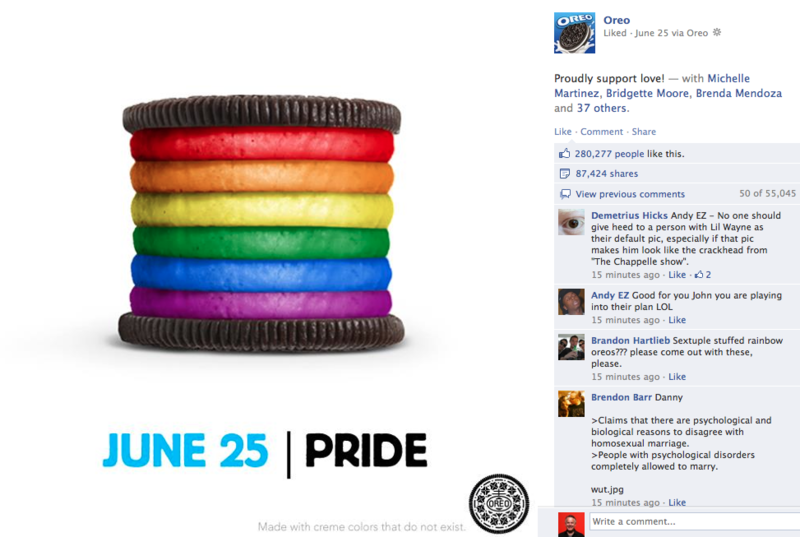 This entry was posted in Facebook, Marketing, Social media, Uncategorized and tagged Facebook, Gay Pride, Global 14, Human Rights Campaign, Jermaine Dupri, Kraft, LGBT, Oreo, Pride. Bookmark the permalink. Thank you, Henry! When I dug around for examples of LGBT-friendly companies, at first I uncovered similar stories about brands sponsoring LGBT events or speaking out on LGBT issues — which were all interesting to read about, but advertisements come and go, while actions are more enduring. I had to dig harder to learn which companies match their words with actions. I am now reading the Human Rights Campaign Corporate Equality Index to learn more.